UNPACK ONCE AND SETTLE IN! You can't beat the location and charm of Kanab. Centrally located in the middle of the many National and State Parks in Southern Utah like the Grand Canyon, Zion National Park, Coral Pink Sand Dunes, Grand Staircase, Lake Powell and Antelope Canyon. This centralized location makes our Kanab inn the ideal destination for your Utah vacation. If you are visiting Best Friends Animal Sanctuary, our hotel provides the closest Kanab lodging to the sanctuary. If it's not on your itinerary, you might want to consider taking a tour as it is truly a spectactular place with incredible scenery, local movie history, the areas' largest employer (500+ employees), and is only 5 minutes away with multiple two hour tours each day. "Utah's little Hollywood" also known as Kanab, Utah is true in following the area's rich filmmaking history. 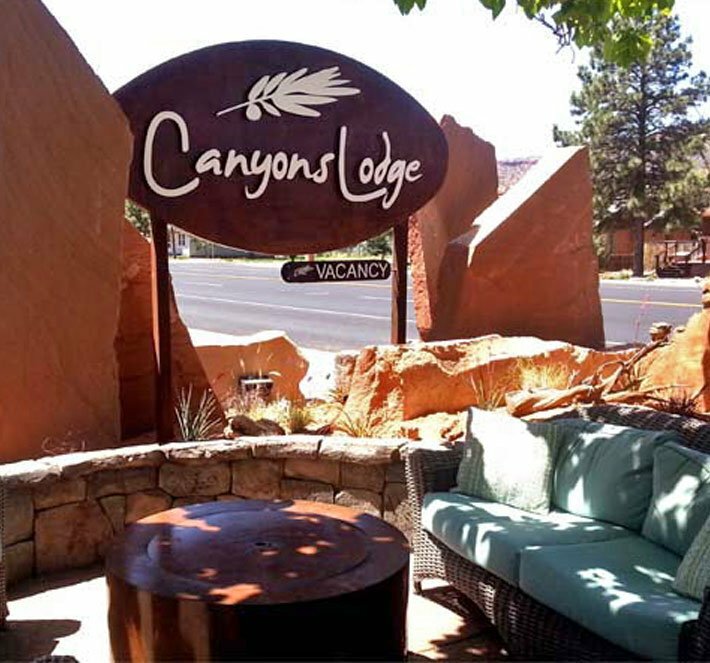 The Canyons Lodge boasts characteristics that other Kanab hotels could only dream of, such as western log buildings, relaxing outdoor areas, stylish furnishings and outdoor swimming pool. Located at the base of Kanab's towering red cliffs on highway 89, our top rated hotel features a daily continental breakfast, free Wi-FI, ice machine, firepit, relaxing lawn area, outdoor heated pool, DirectTV, and refrigerators and microwaves in all rooms. We offer room choices for everyone, from our cozy single queen rooms or our large double-queens to our signature 'Mesa' room with a plush king-size bed. In the midst of the spectacular red-rock scenery, Kanab is a recreation haven known for its hiking, biking, off roading, and canyoneering. We hear it every day - guest come to the area and book only one night and then once they are here wish they had made Kanab their home base for exploring Zion, Bryce, Grand Canyon, Lake Powell, and Antelope Canyon. Unpack Once and Settle In! 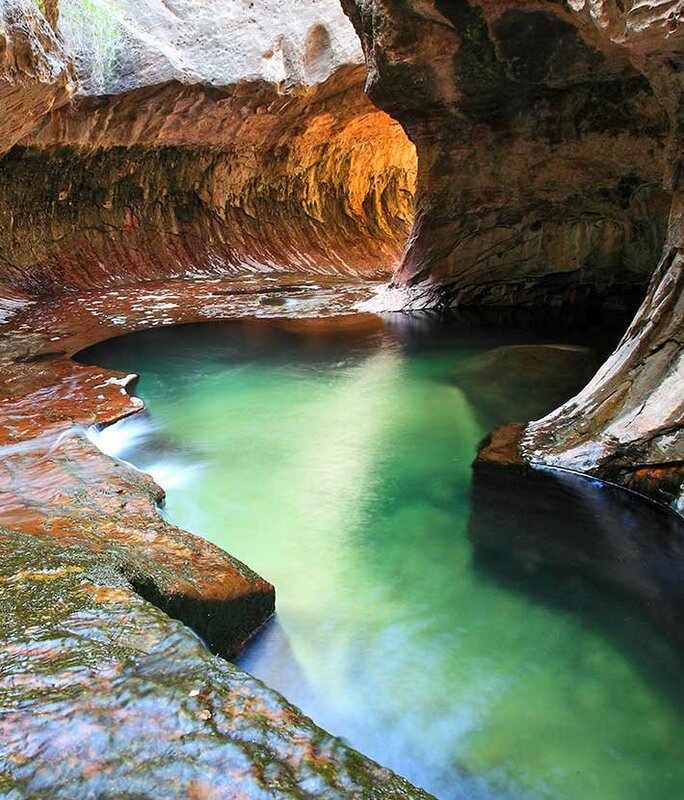 Kanab is the most central location to all of these wondrous places. The surrounding area includes Coral Pink Sand Dunes State Park, plus miles and miles of dirt roads to explore. The area has many slot canyons, red mesas, and ancient rock art that is sure to wet the appetite of hiking, biking, and canyoneering enthusiasts. Area outfitters offer jeep, ATV, river rafting and horseback riding tours. For an idea of the endless possibilities, check out Dreamland Safari Tours website.